The date is 480 B.C.E. Over a million and a half men have assembled at Hellespont. They are under the command of the Persian King of Kings, Xerxes son of Darius. From this point, they intend to cross the Hellespont and proceed to invade Greece for the second time. Xerxes fears that if he does not launch this war, his reign would not last. There is no bridge at Hellespont today, but Xerxes had two of them. One made of 360 boats tied together and another of 314 — both built to stand firm against the wind and currents. After an earlier bridge had collapsed, Xerxes had the builders beheaded and ordered the waters whipped. So those new bridges were as steady as they come. As the great force prepares to cross, Xerxes allows his uncle and advisor, Artabanus to voice any reservations he had about the invasion, for one last time. Artabanus saw what Xerxes didn’t. He knew that success required taking on too much and little things add up in unpredictably big ways. He saw everything that could go wrong while moving such a large force. He advised the king that he’d not only be facing the Greeks, but also the vagaries of nature. There wouldn’t be enough harbors to shelter the ships if storms arose. During the invasion, the army would also traverse territories incapable of feeding it. Artabanus stressed the prices to be paid. The rations would be stretched, communications would be compromised and the army’s morale would be weakened. He advised the king to forget about the invasion and send everybody back home. But Xerxes believed that “big things are won by big dangers.” And that if you try to keep account of everything that might happen, you would never do anything. That’s how he was wired. He reshaped whatever came his way to what he wanted it to be. He tamed the Hellespont by building bridges where there were none. He cut a canal across the Athos Peninsula so his ships would not have to sail around it. Xerxes was not used to worrying about little things. He believed he could crush everything that came his way, with the favor of the gods on him. He thus did not heed Artabanus’ warning and they parted at Hellespont. Artabanus went back home while Xerxes moved on to expand his kingdom. An Oxford don called Isaiah Berlin was the first to classify people as either hedgehogs or foxes, depending on their styles of reasoning. He explained that Hedgehogs relate everything from a single central vision. All their efforts are directed towards achieving their “one big thing”. 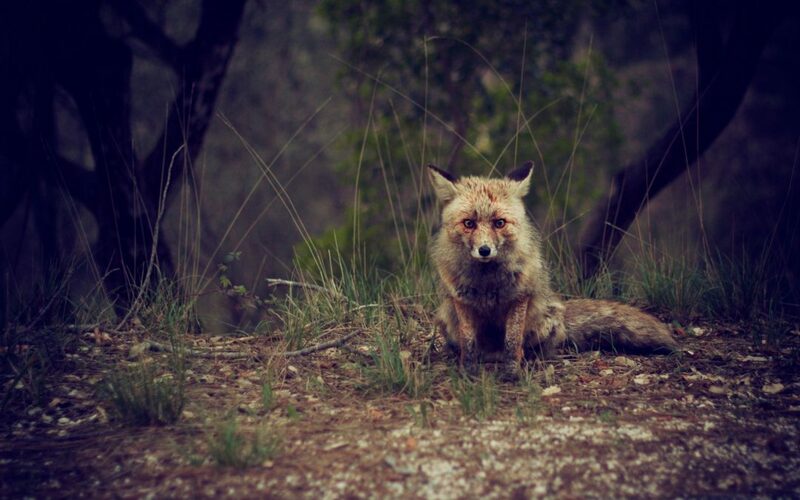 Foxes on the other hand, “pursue many ends, sometimes unrelated and even contradictory”. These ends are however related in some de facto way. Most times, foxes and hedgehogs never agree. Foxes are self-critical. To make sound decisions, they rely on their ability to bring together diverse sources of information. They are better at figuring out how probabilities change as situations evolve. This way, they acknowledge the mistakes that can happen. They are in a better position to predict how the next round of events will turn out. Hedgehogs, on the other hand, allow no room for criticism. They become prisoners of their preconceived ideas and because of this, they are prone to failure. It should now be obvious that Xerxes was a hedgehog. His uncle, however, was an uneasy fox. As Xerxes advanced, he was confident that the size of his forces would guarantee victory. His plan seemed to be working. He proceeded through Thrace, Macedonia, and Thessaly, crushing any resistance that came his way. However, the little things that he’d ignored gradually started slowing him down. His army was so large, that it drunk entire rivers and lakes dry before all the units could cross to the other side. The camels he relied on to carry supplies were an ideal prey for lions that were still flourishing in that area. The Greeks who collaborated with him could also not sustain his culinary needs. To enter Attica, they had to go through the narrow pass at Thermopylae. Unlike other situations where he’d built pathways on water and created canals on land, this time he could not bend the environment to his needs. The Greeks led by Leonidas and his 300 Spartans awaited him here. It’s said that when Xerxes ordered Leonidas and his men to lay down their weapons, he told the King of Kings to “come get them”. For three days, Leonidas and his men imposed heavy casualties on the Persian army. They were only defeated when a Greek citizen betrayed them. He showed Xerxes a path that went around Thermopylae. That’s how he subdued them. Though they all died, the 300 Spartans are celebrated as an example of heroic persistence against impossible odds. The film 300 (2006), draws its inspiration from Leonidas and his men. From there Xerxes made his way into Southern Greece, only to find that the Athenians had evacuated their city. He had captured his objective but it was worthless. It had long been abandoned, not forgetting that bad weather was on the way. In the Aegean Sea, late summer storms battered his fleet. Eventually what remained of his navy was sent to the bottom by the Greeks. The survivors who didn’t know how to swim were slaughtered as well. It’s at this point Xerxes heeded his uncle’s advice. He hastened to get back and cross the Hellespont before the Greeks destroyed his bridges. He left his demoralized army to fend for themselves. What’s better — Being a Hedgehog or a fox? In his manifesto, Ted Kaczynski- infamously known as the Unabomber- claimed that, in order to be happy, every individual “needs to have goals whose attainment requires effort and needs to succeed in attaining at least some of his goals.” However, while pursuing these goals it is necessary to establish a proper relationship between the end and the means. Most hedgehogs, just like Xerxes, fail to establish this relationship. The end exists in our imagination. It can be whatever we want it to be. For Xerxes, he wanted his empire to be as limitless as Zeus’s sky. The means, which are often overlooked, are very finite. They require you to put in the work. They are the ships at sea, the men on the ground and the supplies that keep them going. This is the challenge all leaders go through. One quality of good leadership is to never let uncertainties paralyze you. That even when you don’t know what you’re doing you must seem like you do. They forget that little things add up in big ways. So instead they dig themselves into holes. But still, Xerxes was right to an extent. If you try to anticipate everything that could happen, you’d never accomplish anything. But so was Artabanus. If you fail to account for all that might happen, you may fail. If Artabanus and Xerxes would have seen things from each other’s point of view, they would have been able to come up with a good strategy to win the war. But they failed to reach a compromise and now we talk about them in history lessons as an example of failed strategies. It does not matter whether you’re a hedgehog or a fox. The only way you can make good decisions is by learning to hold two opposing ideas in mind at the same time and still retain the ability to function. We need to combine the hedgehog’s sense of direction and the fox’s sensitivity to surroundings and still be able to achieve our goals. A compass will point you true north from where you’re standing, but it’s got no advice about the swamps and deserts and chasms that you’ll encounter along the way. If in pursuit of your destination, you plunge ahead, heedless of obstacles, and achieve nothing more than to sink in a swamp. What’s the use of knowing true north? Lincoln knew when to be a hedgehog or a fox, while still retaining the ability to function. He kept his long-term aspirations and immediate necessities in mind at the same time. Xerxes was blind to immediate necessities and only considered his long-term aspirations. Artabanus was shortsighted. Instead of advising the King on how to overcome the challenges he’d have faced, he only saw the immediate outcome: defeat. The only way to predict the future, or make better decisions is by acknowledging the immediate necessities (foxes) while still retaining focus on ‘the big thing’ we want to achieve. To quote Bobby Axelrod in Billions, the greats never sacrifice the important for the urgent. They handle the immediate problem and still make sure to secure the future.